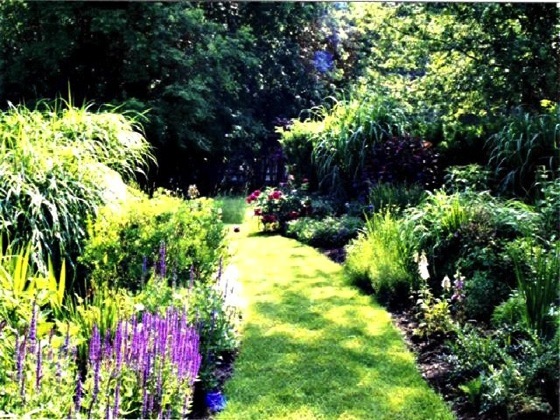 When I began to learn about garden design, I became intrigued with paths – no – make that obsessed. Maybe it dates back to my childhood memories of The Wizard of Oz. Who doesn’t remember when Dorothy reaches a crossroads on her journey to the Wizard and is confused about which way to go ~ and how the talking tree chimes in with his opinion?